From 3 – 8 March, four YST students – me alongside Kong Xianlong (Year 4, Violin), Pei Yi-Ting (Year 3, Violin), Qiu Sheng (Year 4, Trumpet) – worked with students from the Shanghai Orchestra Academy (SOA) and the NDR Elbphilharmonie Orchestra. Following four days of rehearsal, we performed in SOA’s fifth anniversary concert, held in the Shanghai Symphony Orchestra Hall. 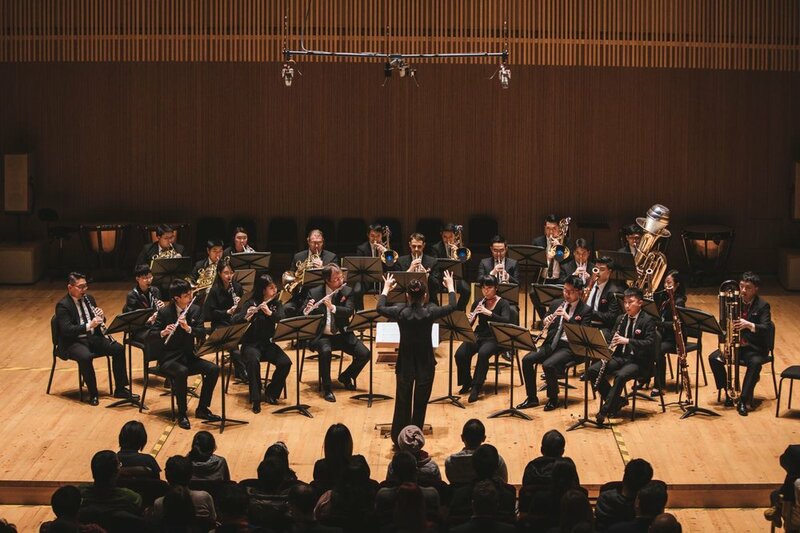 The SOA is an educational partnership between the Shanghai Symphony Orchestra, the New York Philharmonic, and the Shanghai Conservatory of Music. 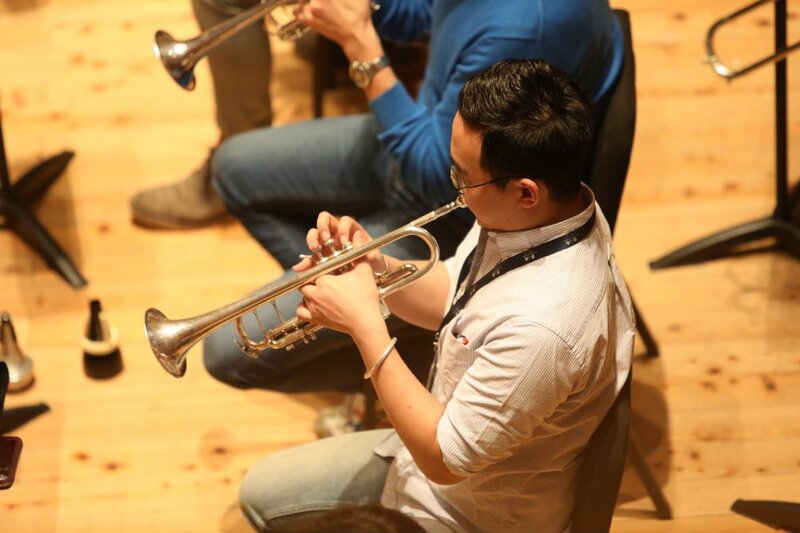 Established in 2014 by Maestro Long Yu, Music Director of the Shanghai Symphony Orchestra, it provides advanced postgraduate orchestral training, with an emphasis on practical training with professional orchestras. The concert programme consisted of familiar repertoire including excerpts from Handel’s Music for the Royal Fireworks, Mozart’s Divertimento in D Major K136, Stravinsky’s Symphonies of Wind Instruments, and Dvořák’s Serenade for Strings Op. 22. At the same time, the preparation process was a fresh challenge, with only two rehearsals with SOA students followed by another two rehearsals with Elbphilharmonie members. Maestro Zhang Jie Min, resident conductor of the Shanghai Symphony Orchestra, conducted the Stravinsky, while other rehearsals were led by Roland Greutter, concertmaster of the Elbphilharmonie. Modelled after real-world professional practices, this approach was a good form of training for future work settings. At the same time, the working environment was very pleasant, as SOA students and Elbphilharmonie members alike spent time discussing musical interpretations and issues together. Seen in sequence: Benny (holding clarinet), Qiu Sheng, Yi-Ting and Xian Long (frontmost) in rehearsal. The two SOA instrumental groups in concert. This concert experience was certainly a highlight in my musical journey, and a great learning opportunity for aspiring orchestral musicians!